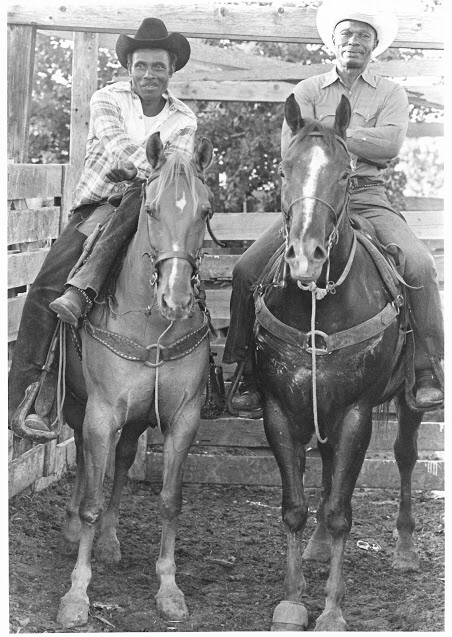 Born in 1949 in Ann Arbor, Michigan, Sarah Bird grew up in an Air-Force family stationed in Japan. She discovered she wanted to be a writer after stumbling upon French photo romances. 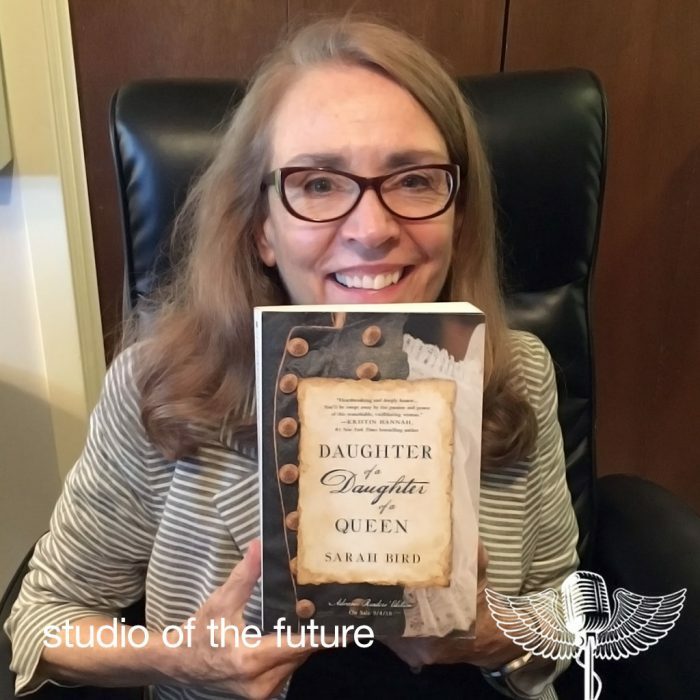 Including her latest novel, “Daughter of a Daughter of a Queen,” Sarah is the author of ten previous books, most recently 2014’s “Above the East China Sea.” She has written screenplays for Paramount, CBS, Warner Bros, National Geographic, ABC, TNT and several independent producers. Her articles have appeared in The New York Times, Salon, and O Magazine. 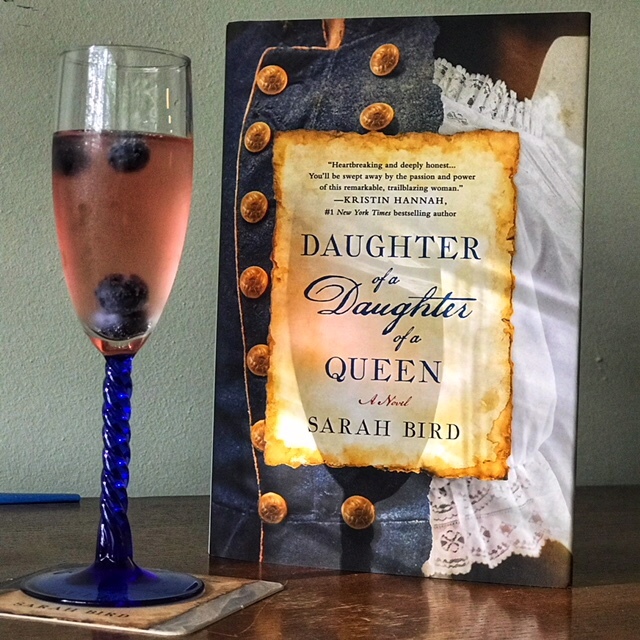 Sarah has been selected for New York Public Library’s 25 Books to Remember list, and recognized by Elle Magazine (Reader’s Prize), People Magazine (Page Turners), Library Journal (Best Novel) and a National Magazine Silver Award for her Texas Monthly columns. In 2012, Sarah was voted Best Austin Author for the fourth time by the readers of the Austin Chronicle; was inducted into the Texas Literary Hall of Fame; and received the Illumine Award for Excellence in Fiction from the Austin Library Foundation. In 2013, she was selected to be The University of Texas’ Libraries Distinguished Author speaker, and was featured on NPR’s The Moth Radio Hour. Sarah lives in Austin, Texas. 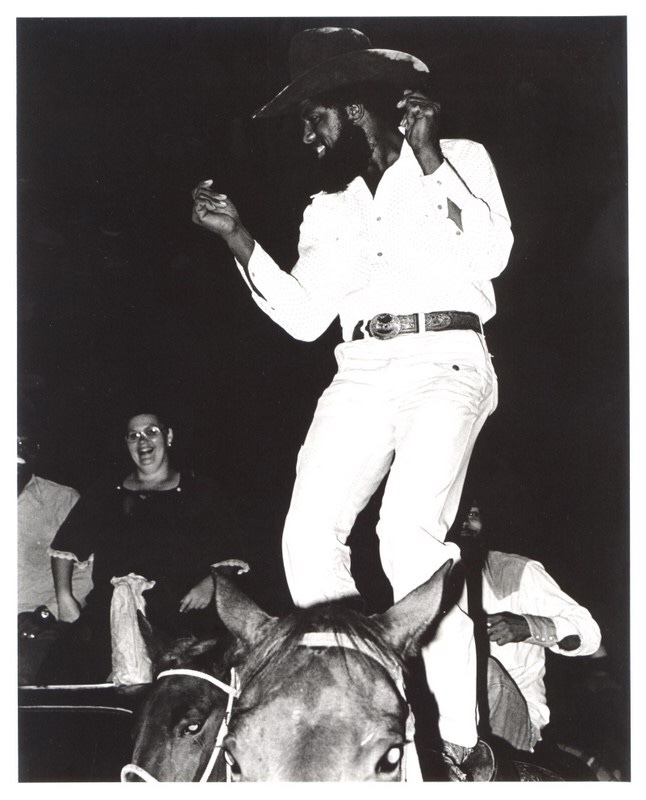 Sarah was a photo journalist early in her career and we talk about her work covering off-beat and, primarily, African-American rodeos. Here’s some of her photos and also pix of her as a child/young woman. 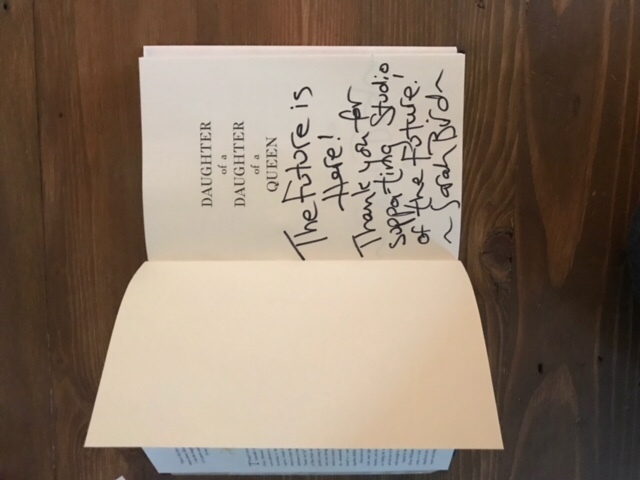 Sarah graciously provided a signed copy of her book Daughter of a Daughter of a Queen to support the Sanford Community Center. All proceeds are tax deductible and 100% go to benefit renovations through the Palacios Community Coalition (501c3) toward the Sanford Community Center. Contact your Studio of the Future Host, Sara Hickman, at maxpumpkin54@gmail.com for more information!